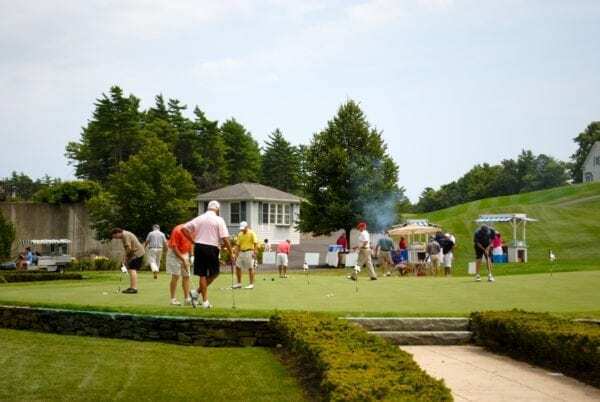 More than 100 golfers and supporters turned out for the 2018 Medicines for Humanity (MFH) Annual Golf Tournament held on June 26th at Indian Pond Country Club in Kingston, MA which raised more than $45,000 this year. The day of golf was followed by an auction and dinner during which MFH Board Member and Golf Chair Tom Bilodeau expressed his gratitude to everyone in attendance and to the event’s sponsors. “By sponsoring and playing in this golf tournament, you are helping to save the lives of children around the world who might otherwise die needlessly, simply because they lack access to basic health care. Every dollar we raise here today goes toward support our child survival projects.” Mr. Bilodeau began the annual golf event 14 years ago, when he invited his friends and colleagues to join him for a day of golf and to help save children’s lives. The response was enthusiastic and provided momentum for the event to grow into the success that it has become.